This newly refurbished workspace is situated in the heart of Leicester and offers a blank canvas for businesses to design and take the space in any direction they wish, with bespoke layout solutions on offer. The centre has been recently rewired and retiled, with fresh decoration and toilet facilities installed. The centre is close to Haymarket Shopping Centre - great for lunch times - and is just 13-minutes walk from Leicester station. 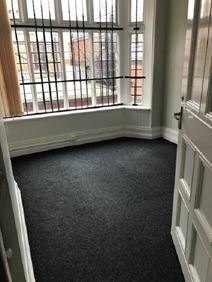 This office space offers newly refurbished, high-specification office suites, giving tenant's amazing value for money on fantastic modern office space. There are a variety of office suites available, ranging in size from 90 Sq Ft to 7000 Sq Ft. There is an on-site management team which are on-hand to make your working day as productive as possible. The work centre is easily accessed via road, bus and rail. This 13-storey central Leicester building is home to these impressive serviced office suites with a modern entrance foyer. The building benefits from a strategic location, just a five-minute walk from Leicester Railway Station and only 100 yards from the Highcross Shopping Centre. On-site, there is meeting room availability, access to a kitchen, postal facilities and mail handling, parking spaces and a lift. This centre is situated in Leicesters City Centre, close to a wide selection of restaurants, bars and cafés. Offering professional business space of between 250 and 12,000 sq ft, this centre provides flexible solutions for short or long term tenants. Located in Leicester"s professional district, this restored Georgian building now provides a range of solutions ranging from a one-person office up to 20 workstations for larger requirements. Close to the city centre and the train station. Situated in Leicester, this centre is housed in an impressive Georgian building dating back to 1826. Despite it's historical exterior, tenants will find a premium, modern interior with a wealth of amenities. The centre offers 24 hour access, a fantastic all inclusive rate (utilities, service charge, meeting room use), super fast internet and parking. The centre is also just a 10-minute walk from Leicester train station, offering services to London. This facility is located on London Road near the heart of Leicester, close to many restaurants and shops. This is a newly refurbished centre in a Victorian building. 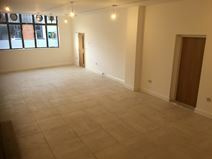 There is an attractive shared reception area, and tenants have the use of a shared kitchen. Situated on Leicester"s High Street this Grade II listed building dates back to the Georgian period giving the space plenty of charm. Having undergone a recent refurbishment this centre now provides 10 offices of varying size and price, all with 24-hour access. Off road parking also available. This beautiful 1850's building has been masterfully restored to now be the home of several high-spec offices. Retaining the stunning original features, such as brickwork and its ability to attract much natural light, the centre now mixes this with modern furnishings and amenities such as WiFi and shared kitchen facilities. The centre is based just outside of Leicester city centre, benefits from plenty of parking and is close to plenty of transport links. This workspace is located in a rural area, complete with stunning views of the surrounding landscape. The flexible space can either be used as open plan offices or as individual workstations, and there are meeting rooms, a kitchen area, a lounge and on-site parking spaces. There are good transport links, with easy access to Junction 20 of the M1, and also to the A14 and M6. There is a train station around a 20-minute drive away. 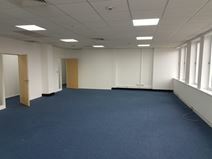 These excellent offices are city centre based for the best all round packages. The accommodation has been renovated and is bright and modern, services are provided including meeting rooms and there is use of a staff kitchen. The city centre location is a major plus with everything from shops and restaurants to transport links right on your doorstep, including Leicester Railway Station which is just a five minute walk away. This centre provides office and commercial unit rentals of up to 2000 sq ft. Located in Aylestone, just minutes from the M1 and M69, and easily accessible from Leicester city centre. This listing offers a professional yet friendly co-working environment. The office space creates an inspirational and motivating place to work, with cool decor and high quality furniture. As well as standard desks and hot desks, there is also an accessibility desk, with a multi-function chair and electrically controlled desk. Tenants can benefit from communal kitchen facilities and WiFi throughout the building. 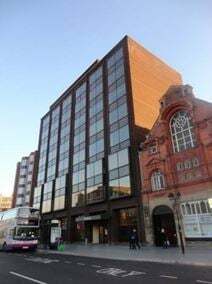 Set in a picturesque part of Leicester City Centre, this centre provides fully furnished turn-key spaces with state-of-the-art telecoms and office equipment. It is also close to the train station for convenience, from which services run to London St. Pancras International, as well as Birmingham New Street. The centre is accessible 24-hours a day, and has amenities such as meeting rooms, IT support and kitchen access. 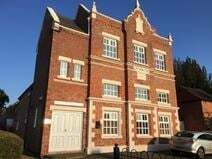 Located in a lovely area of Leicester City Centre, this centre enjoys a picturesque setting and provides superb office accommodation with cutting edge technologies, comfortable light offices and flexible terms to suit your needs. This is a secure environment, with excellent parking facilities. The space is within walking distance of Leicester Railway Station, from which services run to London and Birmingham, amongst other destinations. Located at the heart of Leicesters central business district, these premises consist of the top floor of a renowned business complex. It has excellent transport links and access to local shopping amenities and major car parks, as well as local parking. This brand new business centre consists of offices, decorated to a high standard and with great attention to details. 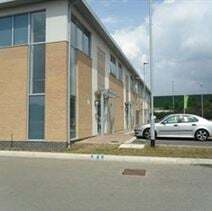 Available furnished or unfurnished and at flexible rental terms, these offices can suit the tenant's needs. They are provided with advanced heating/cooling system, parking facilites, security access and are supported by highly professional and qualified staff. 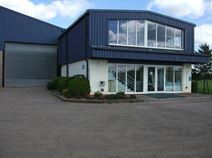 Close to the motorway junction, the building is also located within walking distance of the park. These premises are conveniently located close to Leicester town centre and public transport links and offer good amenities, including conference rooms, campus, business lounge and a charming roof terrace to boot. The space can be accessed 24-hours a day, and is well placed for access to all of the bars, cafes, restaurants and shops that Leicester has to offer. There are also many hotel options surrounding the centre. Situated in the heart of Leicester"s professional business area and a five-minute walk from the city centre this period-style building has been modernised throughout and provides two-desk to four-desk offices along with a conference room and secure parking.